Your Hometown Plumber CALL TOMMY TODAY & WE'RE ON THE WAY! We've been provide fast, reliable, and guaranteed service for residential plumbing needs for over 30 years. At Little Tommy’s Plumbing Shop, we provide fast, reliable, and guaranteed service for residential plumbing needs. 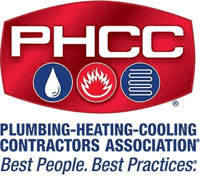 With over 30 years of experience in the industry, we are proud to service the plumbing needs of Highland Park, Highwood, Deerfield, Lake Forest, Glencoe, and beyond. We are ready to help you with any of your plumbing needs, from water heater repairs to garbage disposal installations. You can rest assured that your plumbing system is in good hands at Little Tommy’s Plumbing. Your satisfaction is our highest priority. We've taken a lot into consideration to put this plan together. It offers members a huge savings benefit plus our always great, professional service and warranty. Transparency is key and we want to make sure you feel confident in our service and your investment. Plumbing can be unpredictable, we'll be there to clean up the mess when the unexpected happens. Big plumbing issues can be costly and unexpected. Our financing options are a great solution. No matter what you hire us for, your satisfaction is 100% guaranteed. We''re not happy unless you are. Our owner, Tommy Mahoney, grew up in a plumbing family and has worked in the industry since 1989. With decades of experience under his belt, he has grown Little Tommy’s Plumbing into the full-service plumbing company that it is today. Now, with a team of licensed and highly trained plumbers, our company is prepared to tackle nearly any plumbing project on your plate. 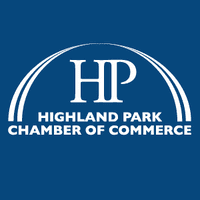 Our Highland Park plumbing services include repairs, installations, and maintenance services for every component of your residential plumbing system. Whether you have a clogged drain or a leaky faucet, rest assured that our team is capable of resolving the issue in an efficient and cost-effective manner. Our Highland Park plumbers are dedicated to our customers’ satisfaction and go the extra mile to ensure that every job is done right the first time. Little Tommy’s Plumbing is proud to serve the families in our community and looks forward to assisting you with your plumbing needs. Little Tommy's Plumbing Shop, Inc.
Highland Park and surrounding areas.